The Smart Traffic Monitoring and Control Center notifies the relevant authorities of the processing through the screen transmitted by the camera system. 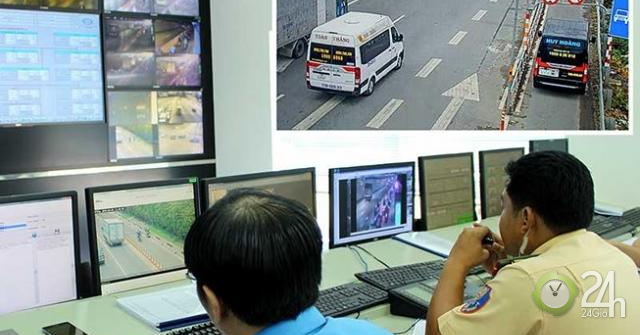 Operated 24 hours a day with over 760 cameras scanned through many alleys to transport 57 screens from the center of the Intelligent Traffic Monitoring and Control Center (located in the Saigon River Tunnel Management Center in Ho Chi Minh City) Monitor. All accidents and traffic conditions are immediately notified to the Functional Unit for process adjustments. Images are stored and shared online for other agencies such as the Police Department (PC08), city police, traffic inspector, and police in some areas. The camera also calculates specialized traffic so you can easily see which areas are crowded and congested. Recently, through the camera, the center staff discovered an early morning crowded automobile phenomenon and found four Xa junctions (found in the Binh Tan and Tan Phu areas), and many vehicles have always circulated. 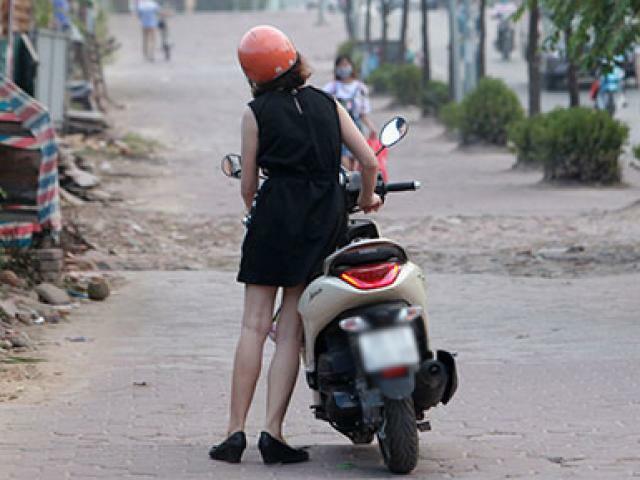 Silk-like tangled "center staff informed the Binh Tan regional traffic police team and announced to VOV and VOH stations to inform vehicle owners in the other direction. Immediately after receiving the information, the traffic police departed and took only 20 minutes to pass through the open area. Likewise, the intersection of Nguyen Van Qua (District 12) and National Highway 1 is heavily congested because there is an accident between container truck and four-seater at Ansuong Expressway 1. The two vehicles occupy almost all of the road surface, causing congestion and extended noon. The Center immediately telegraphed the Traffic Police Team in the 12 Districts to handle the incident and the PC08 Department to assist with traffic control and distribution. After 40 minutes, traffic through the area returns to normal. A picture of a motorbike on the Long Thanh-Dau Giay highway (direction from No. 2 to 9). Police in the PC08 department reported the radio to observe the camera at the Intelligent Traffic Control Center and take action. The recorded and stored images also help investigate and verify violations of the functional agency. Police in the Binh Thanh area were involved in motorcycle accidents at the Thu Thiem Bridge (from district 2 to Binh Thanh district) in early 4 – The camera clearly recorded the image of a motorbike rushing at high speed, then slid a few meters in length to hit the throat Thiem leg wall. The motorcycle dropped many parts and a fire broke out. This image supports the investigation of the local police. At another time, Audi, which runs from Zone 2 to Zone 1, is turning on the priority of driving to the motor lanes of the Thu Thiem Tunnel. The infringing image was sent to the PC08 department to punish the traffic police. 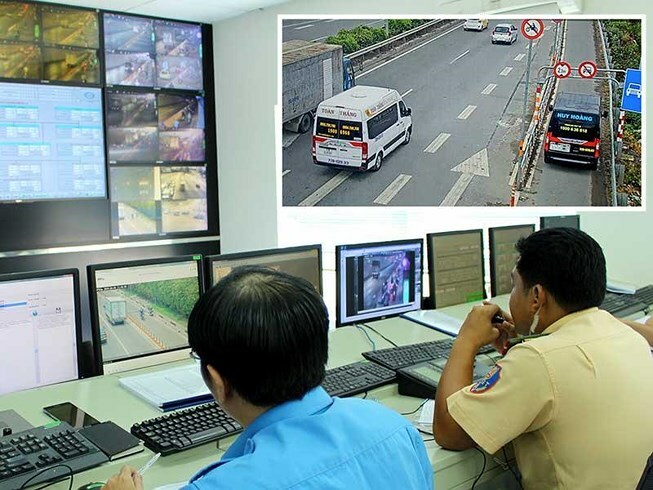 According to Tan, the unit shares with the desire to provide people with all the data from the Smart Urban Operations Center Intelligent Traffic Control Center camera built by the Ho Chi Minh City People's Committee. Better. "The Center actively cooperated with the Ministry of Information and Communication to connect and share information for the construction of smart urban areas, and the ultimate goal is to serve the people," Tan said. The first phase of the Intelligent Traffic Control Center has been completed and performs four basic functions: traffic monitoring, traffic control, monitoring and traffic information. Process violations. It is the first smart traffic control center in the city built to deal with traffic in the city center. After 2020 in Phase 2, the city's intelligent traffic control center is completed. A smarter system can record and process more than 2,000 traffic conditions at the same time. The center not only manages the entire city traffic control system, it also provides data information for violation processing. Supervises and ensures urban security and order. Emergency handling; Fire and explosion prevention and fighting; Yard management. In the past, cooperation between the PC08 department and Smart Traffic Control Center has been smooth and smooth. If the camera is directly connected to the PC08 room, the traffic police will detect the offending vehicle in a particular area and inform the troops outside the road to pick up the vehicle and record the sanction. The PC08 room also often punishes the vehicle through the tunnel by sitting directly at the traffic controller at the intelligent traffic control center, but speeds, violates the wrong lane and turns on the lights. Needless to say, in many cases the PC08 was transported to search for vehicles carrying mud and dirt, gravel falling on the road …, a central extract image, and a violating vehicle. All the hard cases are due to the center's "magic eye" system.